AvoColor is a yellow-red food color additive that addresses the growing need of food manufacturers for natural food colors. A group from Penn State University developed a food color additive that is produced from the seed of an avocado. 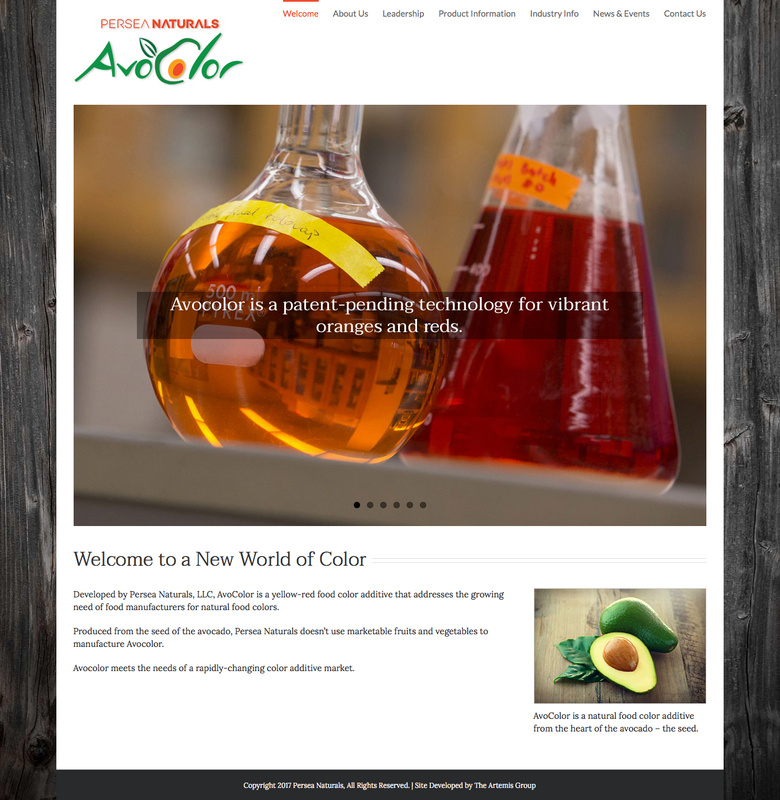 Artemis worked with AvoColor to help design their initial corporate presence on the web. 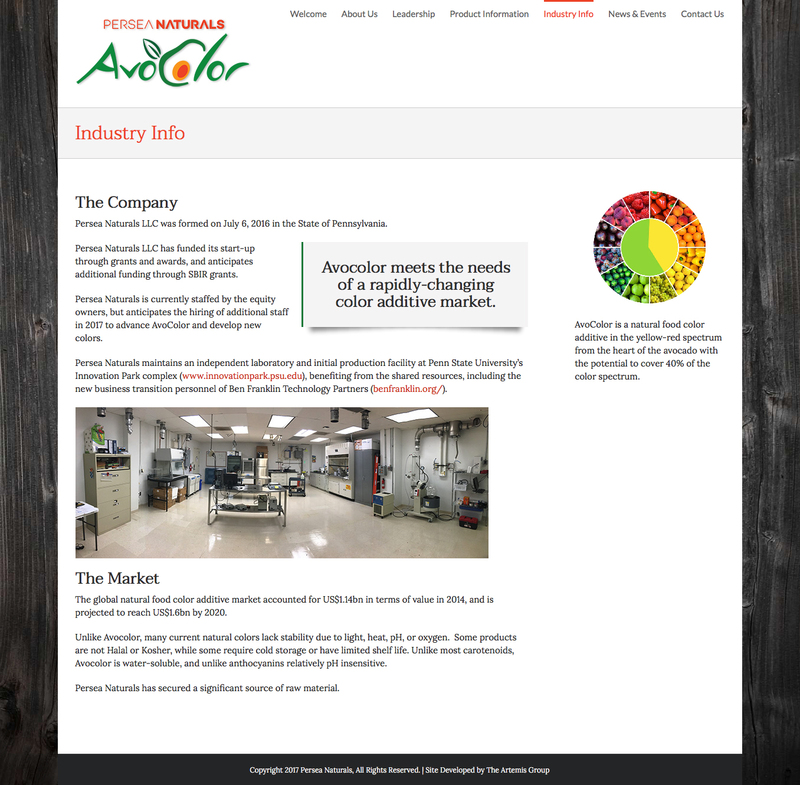 AvoColor has a comprehensive web site that gives potential partners, investors, and manufacturing companies a look at the efficacy and uses of their products.